Hark0, moderator at todoUMPC.com decided to disconnect the GPS Receiver from his Asus R2H and He posted a very good pictures of how to do that. He is not using the GPS Receiver because it was too bad and because by doing that he think that probably he could save some battery life. To UMPC Makers, please, do not reinvent the wheel. I know that by asking this I put myself in a very uncomfortable position of receiving an answer of "We reinvent the wheel because we can" but after a lot of thinking I decided that somebody has to say it. 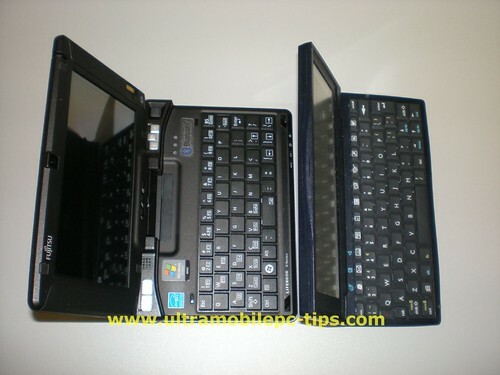 If the Fujitsu U810 was just one centimeter wider then the keyboard would have became a useful keyboard. And here is the proof and here is why I said, please, do not reinvent the wheel, please use the experience of other in this field. 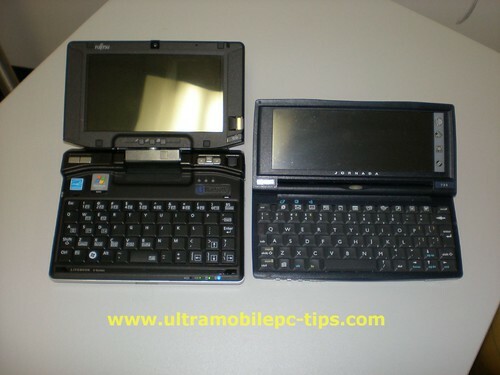 The above two pictures show the Fujitsu U810 and the HP Jornada 720 Handheld. As you can see the Jornada is about One Centimeter wider. And that one centimeter wider made the difference between having a touch keyboard and a none touch keyboard. For those who do not understand what touch keyboard means in this case, it means that you can type with all your fingers touching the keyboard. And that's the only efficient method of using a keyboard. And when I say efficient I mean, the possibility of reaching speeds of more than 50 words per minutes with the less possible effort. With just one centimeter more this machine would have had a lot more potential buyers than all you have now Fujitsu. I have to be honest, any serious executive will die for a device like this one but one where they can type fast. And that was one of the powerful points of those Jornadas from HP. Unfortunately, the Jornada did not have a Operating System capable of handling all the executives needs and that was the major reason why HP dropped that project. 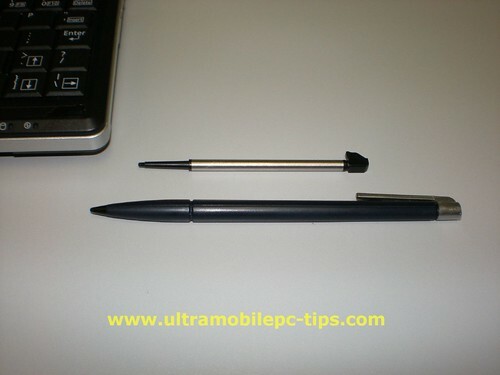 Talking about writing... Did somebody at Fujitsu really thought that you can write using that small stylus? And it's not just small, it's the most uncomfortable stylus that I have ever held in my life. 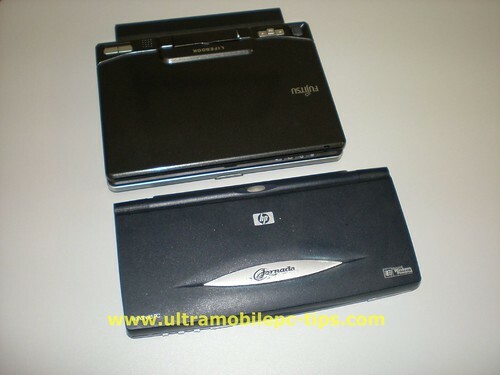 The above picture shows the Fujitsu U810/U1010 stylus on top, and the Jornada 720 Stylus, the best stylus I have ever used in all the Pocket PC, Palm, SmartPhones, Handhelds and UMPCs that I have owned, used or reviewed. And believe me, the list is large. Once again, why to reinvent the wheel? Just because you can? Well, just because you can does not make you smarter, do you know that? I know that there was a lot of pressure from the market asking for keyboards in UMPCs and I know that now as consequence the market is full of almost useless keyboards but if you have the chance of making it right then why don't you try. I'll keep writing about this device sent by Alltp in the next few days, including of course a formal review. So stay tuned! How big is the Fujitsu U810? The Fujitsu U810 size really impressed me. 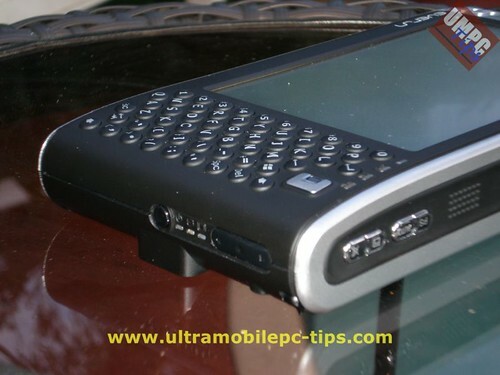 I don't know why but all pictures that I have seen of this UMPC gave me a wrong idea about its size. I was expecting to see a bigger device, smaller than my Q1 of course, but bigger. And I was totally wrong. 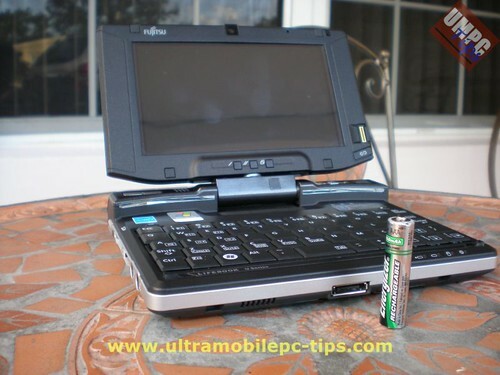 Here are 4 pictures that illustrate how big is the Fujitsu U810. Click on top of the picture to zoom it. The battery in the first picture is a AAA battery, just in case you thought treat it was the bigger AA. 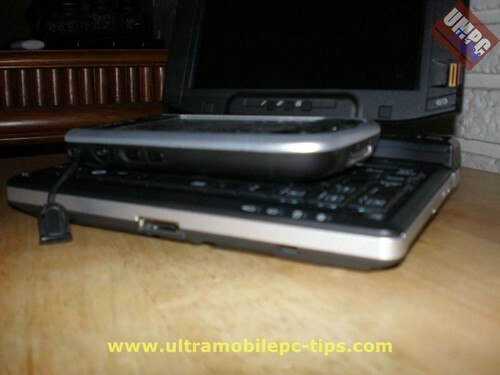 In the other 3 pictures you can see it with a Dell Axim x51v Pocket PC. 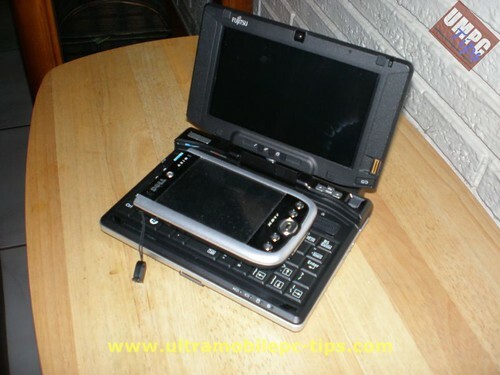 I will be posting more details about this UMPC sent by Alltp in the next few days. So, stay tuned! Here is another video of the HTC Shift for those that still not convinced about the possibilities of this UMPC, the first one from HTC, a company well known in the PPC and SmartPhone markets. 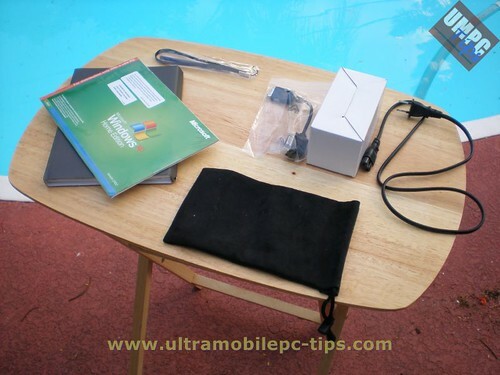 UMPCPortal has prepared a full review of the Vye Mini-V S37B UMPC. The Vye S37 is a high-end ultra-portable product with few flaws. The keyboard is high quality, the hard disk is large and fast and the upgradeable memory slot is a real advantage. The battery life is disappointing considering that similar devices, namely the Q1 ultra and Fujitsu U810, are around 30% more efficient using the same Intel processor platform. Processing power is limited although the fast disk and large memory capability help to counter this. Personally I find this UMPC too big. There is too much space around the 7" screen. And again, the A110 from Intel is not good for Vista. We need a decent processor from Intel capable of moving Vista. Confirmed, the R2H Pentium stock is gone. Asus will start selling the R2e in November. 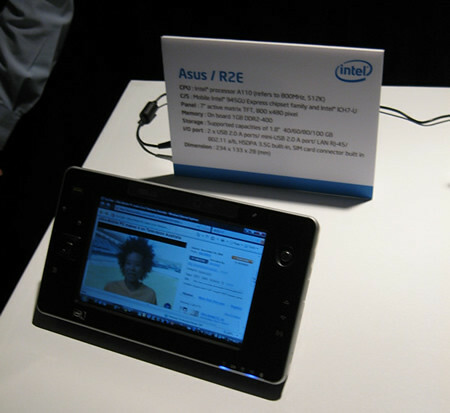 The R2e uses the A110. It's almost identical to the current R2H, the major difference is that the R2e will include HSDPA. Korea, without any doubt is today the leader in the UMPC market. 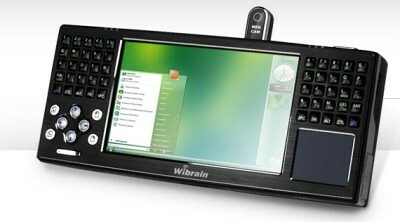 And from Korea comes this news about a new UMPC that probably is about to hit the market: Wibrain. 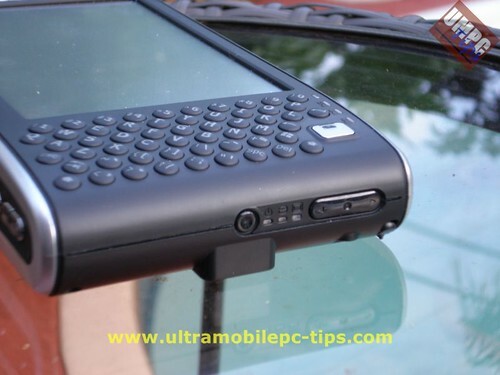 Our friend JKK posted at his blog details of what we should expect to see in this UMPC. The design of this UMPC could be categorized as retro because it reminds me those old Casio calculators from the 80s that came with Basic Language. Do not you think? I found today a very interesting video on youtube. It seems to me that is a typing championship organized by Samsung where all the participants have to show their typing skills in a Samsung Q1 Ultra. A very good strategy to increase the interest in the Samsung Q1 Ultra, don't you think? 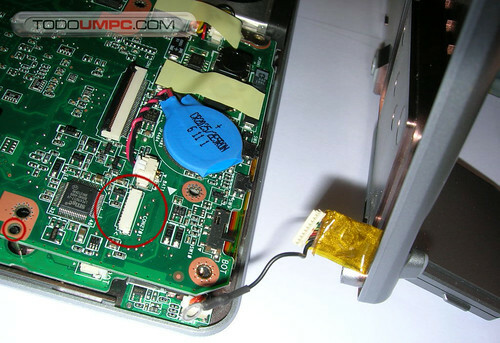 have not found your valid reason to buy a UMPC? The other day I was writing an article for todoUMPC.com and I was saying that most of the people that have owned a UMPC and ended returning it was because they did not have a valid reason to buy one to begin with. Lets faced, UMPC still expensive toys and if you don't have a real use for them you are going to end regretting to have bought one. I do have my valid reason, I carry mine loaded with Visual Studio and the source code of Tweask2k2 and all my other programs. And more than once I have turned on my UMPC to check my code and help a customer. A few weeks ago I was working in a Security Project and again my UMPC played a very important role on it. 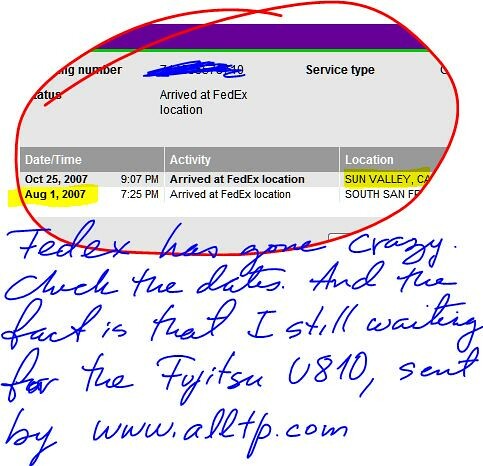 You can read the whole story here, summarizing it, thanks to my Q1 I was able to check security cameras away from home and catch some thieves. Is not this another valid reason? But UMPCs are also cool toys and I was writing about it in this other note at my blog. How many times you have not ran into that case that I'm describing at my blog, you heard a song on the radio and you want to buy it for your music collection. Half of the time when you get home you already forgot the name of the song, the singer or just that you wanted to buy that song. But if you are "always connected" thanks to your UMPC that never is going to happen again. 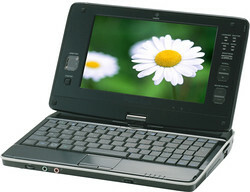 Due to overwhelming demand the MEDION UMPC is currently out of stock. To ensure you don't miss out, place your pre-order from the 1st February on (866) 633-4660. I will tell you what I would think, I would think that something is really wrong with these guys because having this note unchanged for the last 8 months to me means one thing, they have not sell a s.... and they do not care to sell this thing in USA. But guess what, JKK is not of those kind of players that lose without a good fight, so he replied me back with this other video. Ok JKK, You won... this time. 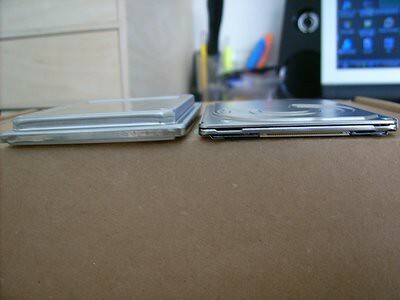 Our friend JKK has published a very interesting article where he shows that the SSD could be bigger than the regular 1.8" HDD and how you can make it fit in your UMPC in case you run into this case. According to Kevin, we both share the same disease and he is absolutely right, we are madly in love with UMPC or any mobile technology. Today he posted at Jkontherun his impressions about the Vye S37. Another thing that Kevin and I share is that we both like "ink". We do not care too much about having an integrated keyboard. There is nothing like writing these notes in my Q1 screen laying in my bed. Everun, a little PC to take everywhere. 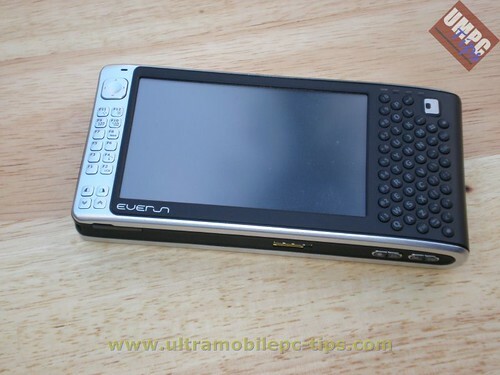 There is a long path between the first UMPC made by Raon Digital, the Vega and the Everun. If you compare the two devices you will end noticing the extremely good quality in the finishing of the Everun. When you hold this device in your hands it feels solid, well made, well designed. To prepare this review I went to different web pages asking what users did want to know about this device. Here you will find the answer to those questions. The screen in the Everun is super bright. To give an idea, at 50% it still brighter than a Q1 from Samsung. The touch screen is very sensitive, you actually can use your finger tips on it instead of using your nails like in other devices that are less sensitive. Another new feature included in this device is the auto screen rotation. 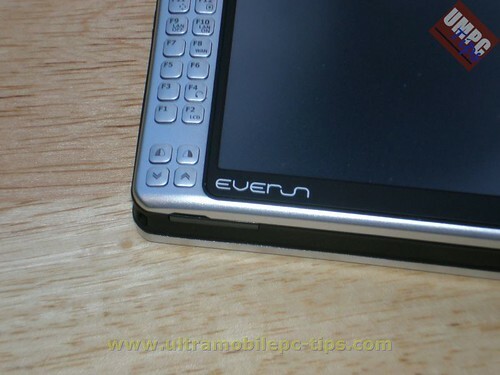 The Everun "feels" the way you are holding it and will rotate the screen for you automatically. This is really good when you are trying to use the full keyboard located in the left side of the screen. Talking about the keyboard, Raon did well selecting these kind of keys instead of the flat ones used in the Vega. It's easier to use these ones. But keep in mind that if you have fat fingers it will be a little hard for you to achieve a good speed typing in this keyboard. I was able to type about 15 words per minute. Probably with a little bit of training I would have reached 20 WPM but that still around 35% of what I can reach in a regular size keyboard. One thing that I like was the fact that this device includes almost all the keys that you can find in a regular keyboard, that includes the 12 functions keys, Ctrl, Alt, Shift, PgDn, PgUp and Esc. You can actually find the Ctrl and Alt keys in two locations. The Everun also includes a little mouse pad in the right top corner and the left and right mouse button in the left bottom corner of the unit. By having this amount of keys the Everun becomes a perfect machine for gaming. 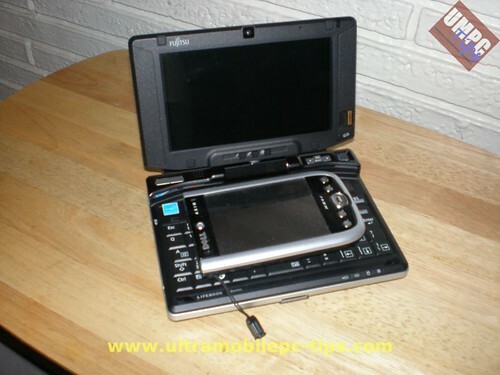 You can actually holds the unit PSP style and play games like Quake II and Nuke 3D, these First Person Shooter kind of game are very hard to play in UMPCs due to the amount of hot keys that they use and I was able to configure the Everun to play them easily. And I have to add that performance on these games was not bad at all. Performance is an equation with many variables. Each variable have it own weight and at the same time some of these variables are more used in certain tasks and almost not used at all in other tasks. The Everun is really bad in tasks relative to multimedia. I ran two tests playing videos at different format using GOMPlayer, this player is very light and it includes almost all the codecs needed to play almost any kind of video file. The first test was playing a DVD located in another computer connected to the network. 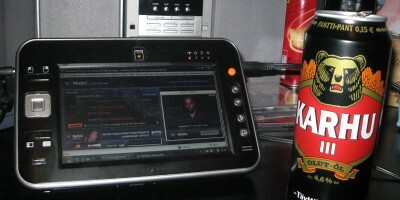 The Everun was connected via WiFi and the DVD opened using GOMPlayer. The playback on that setup was acceptable but not perfect. You could actually notice how from time to time a few frames were skipped. The next test was to play a divx file with a 720x544 resolution and a bitrate of around 900 kbps. The playback was perfect and the video quality good. Another test that I ran was with Google Earth and I shot a short video of that test. As you can see, you can feel the absence of hardware acceleration and the insufficiency of a AMD Geode processor running at 600 MHz. iTunes performs in the same way on this machine. The CrystalMark Benchmark score was around 9900, the lowest in all UMPCs that I have tested. The Fritz Chess Benchmark score was of 0.34, this benchmark only measure the processor performance and compares it with a Pentium III at 1 Ghz. You can find the scores of other UMPCs in this table. After all these numbers probably you are going to think that this machine is very very slow. Well, this machine does not feel that slow like I was expecting to be. And the reason why is simple, do you remember what I said about the performance being an equation with many variables? The HDD performance is one of those variables. The Everun tested by me is the model number S66HS. This machine has a 6 GB Solid State Disk (SSD) where Windows XP is installed and a Hybrid 60 GB HDD. In another words, the Operating System is installed in the fastest hard drive you can get installed in these machines, faster than a 7200 RPM HDD. And you feel the difference. I have a TabletKiosk eo v7110 using a 7200 RPM HDD, the eo uses a VIA at 1 GHz processor and the Everun opens programs like Open Office faster than my eo v7110. In overall, the Everun performs as well as the eo v7110 with the only difference that the eo as a little better multimedia performance, but not that much. I have seen other companies like Samsung trying to install 30 GB SSD in their UMPCs and by doing that the price of these machines goes up for more than 300 dollars in some cases. Raon Digital has found the best solution to apply this new technology keeping the price low. Something that I would recommend other companies to apply in their own UMPCs. The Raon Digital solution gives users high performance and maximum storage capacity at a very low price. Installing a 30 GB SSD in a UMPC is costly and does not satisfy the storage needs of regular users. The next short videos shows how Open Office performs in this machine. Expect a battery life between 4 to 4.5 hours browsing the web via WiFi and doing other little tasks at the same time like opening documents and editing them, all that with a brightness of 89%. Adjusting the brightness at 25% you can probably reach close to 5 hours if you are not playing videos or running other heavy tasks on it. 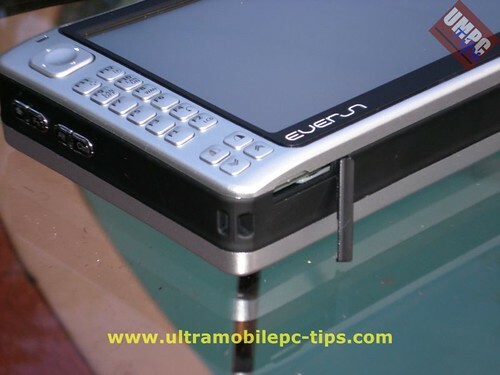 The Everun is a compact 5 inches UMPC. One of the best replacement for a Pocket PC in the market. The inclusion on it of a HSDPA option is a very big plus in this always connected world. I would like to see Raon Digital exploring solutions with other more powerful processors than the AMD Geode but at the same time I admire the good work done by Raon Digital achieving the highest possible performance in the Everun. The machine is clean, no crapware of any kind installed. You can start using it right out of the box, you don't have to spend hours cleaning or uninstalling trials. 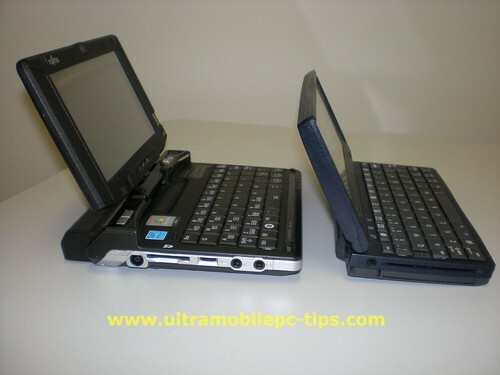 There are two kinds of UMPC users, those who use the UMPC as their main PC and the other group that uses the UMPC as a companion PC. I would recommend this machine to anyone in the second group of users. The machine for this review was sent to me by Dynamism.com, a company specialized in importing next-generation consumer technology from Japan and around the world. What's gonna be my next victim? 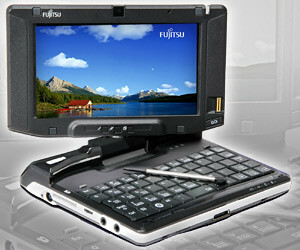 So this is the time to ask what do you want to know about this first UMPC from Fujitsu. Can you play 3D games on the Everun? Note:Thanks to Dynamism.com for providing the Everun for these tests. Just a short note to let you know guys that woot.com is selling today the Brown Zune for just 79 dollars. It's a refurbished unit but come on for that price you wont get anything better in the market. Computers took over our productive life a long time ago but now that you can almost put one of them in your suit pocket they are taking over also our social life. And if you don't believe me check this picture and this comment from our friend JKK. VIA is getting very aggressive advertising its processors being used in UMPCs. Check this video posted on youtube a few hours ago. The movie is a real good example of how you can use your UMPC integrating it to your social life. In another hand I liked the way they used to teach you how to get connected to a wireless network. Can you run Google Earth in an Everun? As you may already know I have been testing lately an Everun. And I'm running all kind of tests on this machine. So far I like the combination of 6 GB SDD and a Hybrid HDD. To have your OS installed in the 6 Gb SDD helps a lot the overall performance and at the same time this combination is not as expensive as if you are buying a 40 or 60 Gb SSD. One of my tests was to open Google Earth in the Everun and I shot a short video of it so you can see with your own eyes how is the performance during this task. The Everun on this video was provided by Dynamism. According to news published at SlashGear, Sony is about to release to the US market the new UX490. 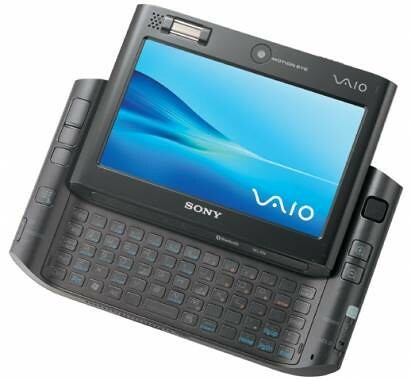 ...the latest Sony UMPC - the VGN-UX490N - will be landing in the US complete with a 1.2GHz Core 2 Solo processor and 48GB SSD drive. Unfortunately this new UX still have only 1 GB of RAM, an amount below the optimal amount to run Vista considered by many beyond the 2 GBs. Today I received a package coming from Dynamism: the Everun. 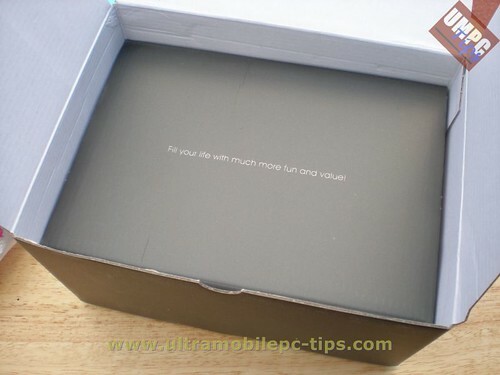 This post is just to show the box and what was inside of it and to share my first impressions about this UMPC without having turn it on for the first time. I have shot a few pictures to document this short note because to me high resolution pictures work a lot better than any video review where the device is left in a secondary role and no details can be seen. 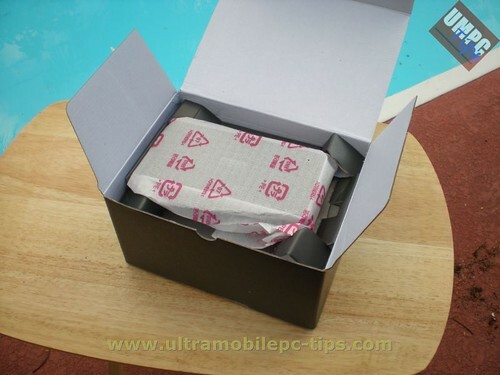 The first two pictures show the box which quality reminded me the one from the Samsung Q1. 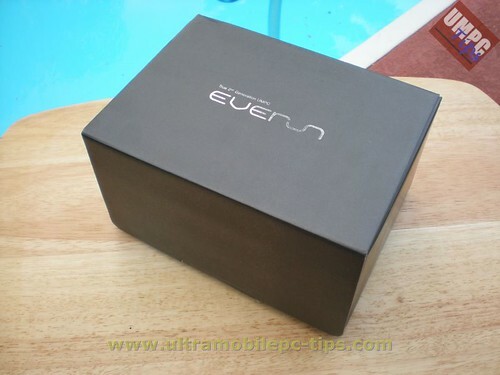 Once the box is opened the first thing in the first layer is the Everun. The second layer contains the User's Manual and Microsoft's Windows XP Home Edition CD. 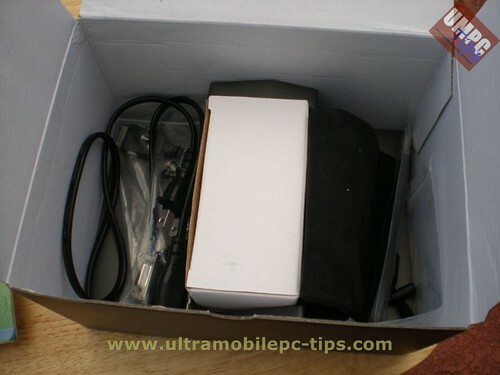 The 3rd layer in the box contains the power supply, a carrying case, a extra stylus, a carrying strap and a VGA Cable. 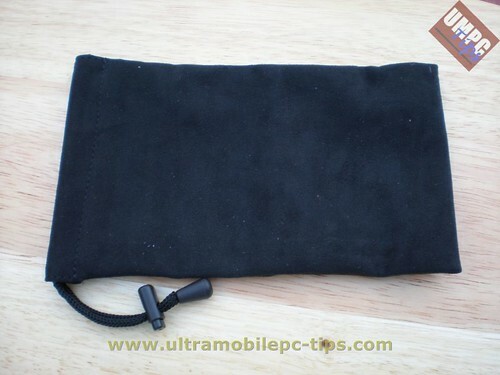 The next pictures show the carrying case, a case that reminds me the one included with the TabletKiosk eo v7110. 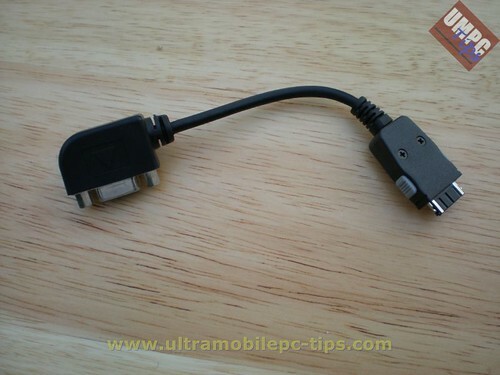 Next is the VGA Cable. I have left for the end two pictures of the Everun. What I think about the Everun today, when I have not turned on yet? 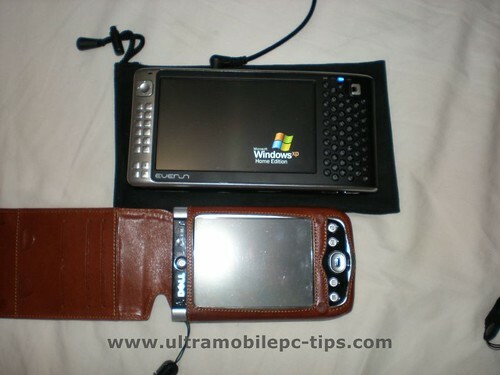 Well, I had the opportunity to have in my hands the first Raon UMPC, the Vega. 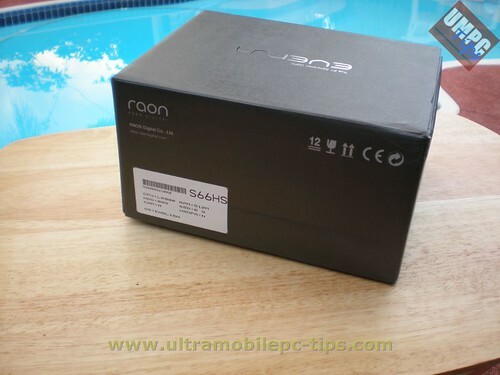 Looking the Everun I can say that Raon has learned a lot during this first year and the quality of this second generation device is a lot better than what I saw in the Vega. The Everun exterior looks very well finished. The buttons in this device are better defined and are easier to use than in the old Vega. 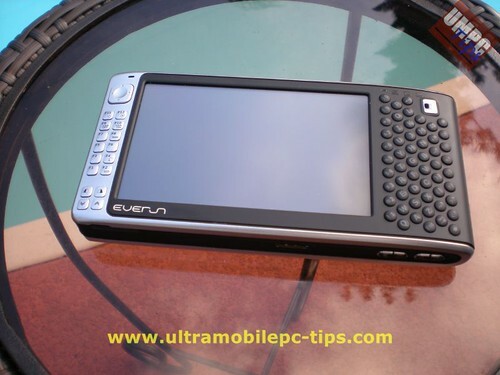 The Everun design impressed me because it's a very well made UMPC. But I repeat, I have not turned on yet. So here is an opportunity for you, my dear reader to ask whatever you want me to check in this device. I'll try my best to answer all your questions in my next post about the Everun. UMPC Usage Survey, win 500 dollars.